Special Containment Procedures: Regular exposure to SCP-2170 is necessary for its continued existence and containment. 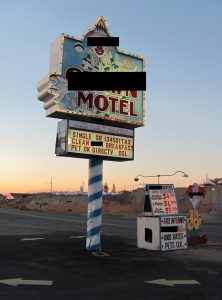 Site-2170 is publicly known as the Clown Motel, staffed by Foundation personnel for the purpose of memetic inoculation to prepare researchers and agents for SCP-2170 exposure. In order for the memetic inoculation to be effective all staff at Site-2170 must have a sincere appreciation of classical clown imagery and materials. Agents or personnel who find clowns disturbing or not amusing must not be allowed to visit Site-2170. Description: SCP-2170 are non-physical memetic entities which are experienced within the abandoned ██████ Mine in Tonopah, NV. As memetic entities they exist within the senses of nearby sentient beings. Exposed personnel describe them as whispering voices and fleeting images. The entities themselves are non-malicious and only seek interaction for the purpose of self-preservation, but exposure is detrimental to the long term physical and mental health of those who perceive them unless, for undetermined reasons, subjects have recently enjoyed thoughts about clowns. 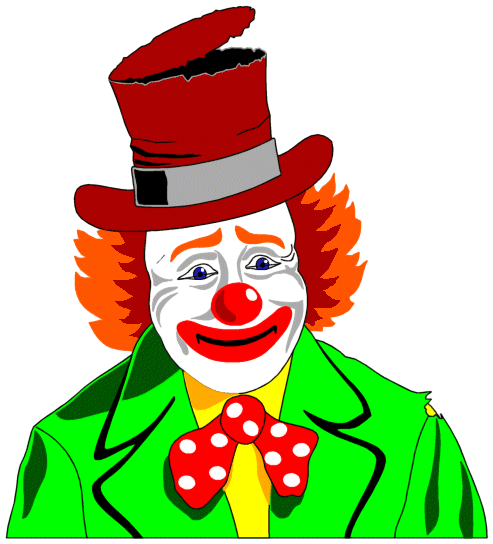 There is no direct relation between clowns and SCP-2170 beyond this fact, and SCP-2170 expresses distaste for clown iconography. Symptoms of mild SCP-2170 exposure begin with an inability to accurately read written language due to auditory and visual hallucinations. Continued exposure results in paranoia, increased hostility, self-harming and seizures. Sustained unprotected exposure to SCP-2170 leads to death in most cases except for individuals diagnosed with sociopathic tendencies. SCP-2170 entities are dormant when not being perceived, and will cease to exist if not perceived on a regular basis. SCP-2170 enjoys regular communication with trained Foundation staff. Communication with SCP-2170 entities is best achieved indirectly via written messages. Although SCP-2170 cannot physically alter written material, they can alter a reader's perception sufficiently to communicate. This exposure is safe provided inoculation measures are carefully maintained. Most information regarding the history and nature of SCP-2170 has been given by the entities themselves. Local historical records do not corroborate the testimony of SCP-2170 and despite the benign nature of the entities no information that they provide is to be taken as fact until physically verified off-site by unexposed personnel. You need to love clowns but nobody loves clowns not even us. 1901 "Cracks in the night sky, falling stars open new world as they crumple in fire." Regarding first contact with human consciousness. See document 2170aa regarding Tonopah Death Plague VERIFIED, Foundation quarantine successful in preventing memetic outbreak. Cover story of pneumonia disseminated. 1910 "Paradise found in its shining home, everything that man and whisper could wish for in harmony" Claim that a team of miners had found the secret golden city of SCP-2170 NOT VERIFIED, Agents Culver and Fredricks KIA in expedition to find location, no rumors among local miners of such a discovery. 1919 "As brother turns away unsatisfied, new blood runs untapped deeper within the land." Claims of undiscovered veins of silver and gold within ██████ Mine NOT VERIFIED, later determined to be hoax by SCP-2170 to increase exposure. 1931 "A lost behemoth dies in the desert, a pale mask haunts the night in vengeance. We are afraid." VERIFIED, a circus elephant from a traveling show escaped its enclosure and fell into a mineshaft. One of the clowns went on a drunken rampage afterward. Containment procedures updated. 194█ "We foresee a stunning light that makes the ground boil. Salvation comes with a price." Prediction of terrible destruction which will result in steady sustenance. VERIFIED, reference predicted nuclear testing at the Tonopah Test Range which began . The test range becomes the primary economic activity within Tonopah. Addendum: My favorite color is clear. 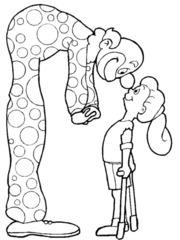 That way I can always see you.